It seems quite impossible for Auckland Transport to lay down something as simple as some bus lanes to support the New Network as Southern Auckland is finding out. The saga goes all the way back to 2015 when NZTA were to start the Takanini Motorway Interchange upgrades as part of wider Southern Motorway works. Back then (see: Auckland Transport and NZTA on New Bus Lanes in the South) Auckland Transport were to provide bus lanes from the Takanini Interchange to Walters Road along the Great South Road so the 33 Great South Road bus could travel freely in the peak times. But no that was not going to happen with Auckland Transport. We move onto 2016 and wondering where are the bus lanes on the Great South Road. So I ask Auckland Transport (see: Auckland Transport Reply on Great South Road, Takanini Issues. Bus Lanes Coming!) and we get a reply of 2017 including some cycle ways as well. Roll on to 2017 and still nothing so I ask again (see: Oh For Some Bus Lanes Auckland Transport (They are actually coming)) and get a reply for late 2017. Roll on late 2017 and still no bus lanes down the Great South Road so once more we go ask (LGOIMA Request into Papakura Bus Lanes – AGAIN. Where Are They?). The answer this time is 2018. Here we are into 2018 and still no bus lanes down the Great South Road. Time for another pile of questions to Auckland Transport: Great South Road Bus Lanes Set for Late 2018 after Internal Squabbles in Auckland Transport. The reply this time was late 2018 after internal squabbles between the Infrastructure Division, Metro Division and Active Mode division – same as we got with the Manukau Bus Station and why no bus lanes exist on Manukau Station Road. Thank you for your enquiry regarding the possible installation of bus lanes along the Great South Road, between Beautmonts Way and Walter Strevens Drive. At the outset, we apologise for the delay in response, as we are currently working through a backlog of cases. As you may be aware, Auckland Transport (AT) is currently in the process of rolling out a New Network for the entirety of Auckland. Our Infrastructure and Facilities team is currently prioritising funding for stops critical to the New Network for Central and North Shore, which is the next phase to be implemented. Please be assured that your comments have been forwarded to the Infrastructure Project Team for consideration and review. Bus lane initiatives coupled with greater bus service frequency and capacity (including double-deckers), are already proving successful with public transport patronage continuing to steadily increase, contributing to reducing the rate at which congestion increases. Consistent timing for special vehicle lanes across the region provides for improved awareness and compliance while ensuring a balance is achieved to increase the number of people using each road and the average speed of all users. Unfortunately due to the New Network projects currently being worked on, we are not in a position to confirm if the Great South Road will definitely have a bus lane installed, however we will investigate and consider your proposal when we are able to. While I understand that this may not be the outcome you were looking for, I trust this information is of use to you. Thank you for taking the time to provide your feedback, which we encourage because it provides the opportunity to identify and prioritise customer-focused improvements across the public transport network. Basically we won’t get them at all. The proposed Mill Road corridor provides an additional strategic north-south corridor for southern Auckland, connecting Manukau and Drury to the east of the Southern Motorway. It connects future residential development in the south with employment in the north, particularly around Manukau. Once complete, it will also improve access to new employment opportunities in Drury South. Even with the public transport network absorbing around 20 percent of new trips and the Southern Motorway widening discussed above, major forecast increases in car travel are expected to create chokepoints on roads around Papakura and Drury unless there is investment in the Mill Road corridor.  Less pressure on Great South Road assists plans to reallocate existing road space to bus lanes. So Papakura now has to wait a DECADE until the Mill Road upgrades are complete to get some bus lanes – some TWELVE YEARS after the New Network rolled into South Auckland in 2016! It aims to deliver greater corridor productivity (i.e. 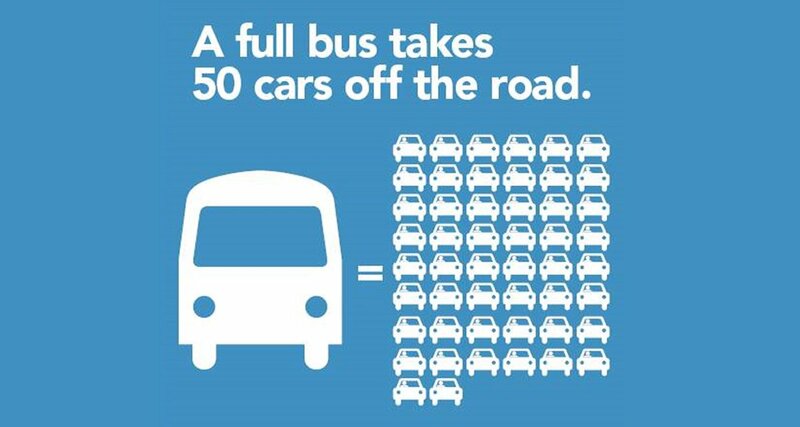 carrying capacity and average speed) through the provision of enhanced bus priority and resilience. Immediate routes that have been prioritised in the first five years are: Sandringham Road, New North Road, Mt Eden Road, Remuera Road and Manukau Road. Southern Auckland waits again (while the Isthmus gets everything else) with congestion on the Great South Road gets worse every day while we have no alternative as the 33 bus gets stuck in said worsening traffic. So I ask that the RFT and RLTP be juggled to have bus lanes on the Great South Road starting from the Puhinui Road intersection all the way down to the Queen Street intersection in Papakura as well as bus lanes down the entire length of Manukau Station Road to allow Frequent Service Network busses to travel along the Great South Road and all busses using Manukau Station Road to access the Manukau Bus Station. Interestingly the Infrastructure and Metro divisions in Auckland Transport are being dissolved and replaced by new divisions in the restructure started by the AT CEO. Maybe the new divisions could be a bit “faster” in rolling out the bus lanes the South is desperately waiting for? In the mean time inept would be an apt term for Auckland Transport. I wondered if we could get trains to go to Manukau Station from the South (I know that would be a battle with Kiwirail), would that help to make a fast reliable (Congestion free) transport route for southern Auckland. A new station at the South Gate area…would gives three stations along the Takanini straight. the trains could run Manukau to Pukekohe….I guess that Papakura- Manukau could support a train every five minutes (10-minute frequency for Britomart bound trains and 10-minute frequency for Manukau bound trains)? If push comes to shove …couldn’t the land the other side of e-train maintenance facility be developed at in the land port? (thus avoiding the big battle with kiwirail ? Why I Use #CitiesSkylines in my Urban Geography Posts?